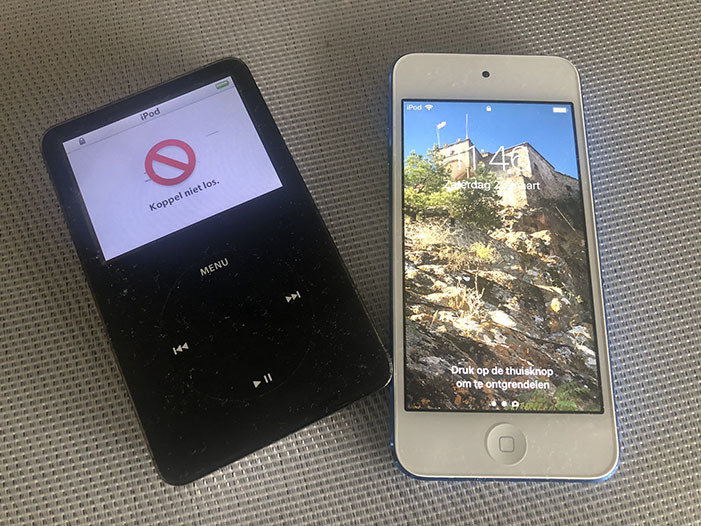 After more as 14 years my iPod Classic stopped working properly. It is not even really the iPod itself that is having problems, it is the battery. However, that might be after 14 years not really be a surprise. I can remember very well that 14 years ago I was advised to buy an iPod. And yes, € 280,00 was a lot of money, but it was an Apple. When the iPod Classic arrived I understood why it was so expensive. The iPod was not 8Gb as I thought it would be, it was 80Gb and that was for that time huge. Personally I am not a big fan of the Apple headphones, so those were quickly replaced by some of Sennheiser. But now after more as 14 year it stopped working as it should. And no, I am not complaining at all. So this morning I went to the Apple Store in Amsterdam. I love that shop! And after a little talking with one of the sales people there, I was the owner of a iPod Touch 132Gb. All music is by now transferred to it (5000+ songs… and yes, all legal).